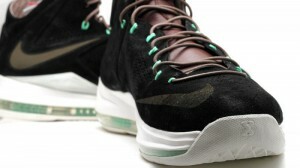 Today Foot Locker unexpectedly released the LeBron X Hazelnut Suede, LeBron X Black Nubuck and Kobe 8 Snake Skin online. Tuesday releases are unheard of for Foot Locker. It is likely just returned stock being sold off.